Meatless Monday. Radishes again. But this time, curried with paneer! Fortunately, I periodically have to go to the suburbs, where there’s a farm that’s open from May to November, and they label the local food and grow much of it themselves. And it’s cheap. Yesterday we got forty city-dollars’ worth of produce for $14. There were heads of field-fresh cauliflower for 29 cents. TWENTY-NINE CENTS. There is no beating this place. We got huge bunches of radishes for 33 cents apiece. Cheap local produce is my number-one thrill. I need to get out more. Anyway, in the spirit of the season and Meatless Monday and because I just love radishes, here’s a recipe for radish paneer. 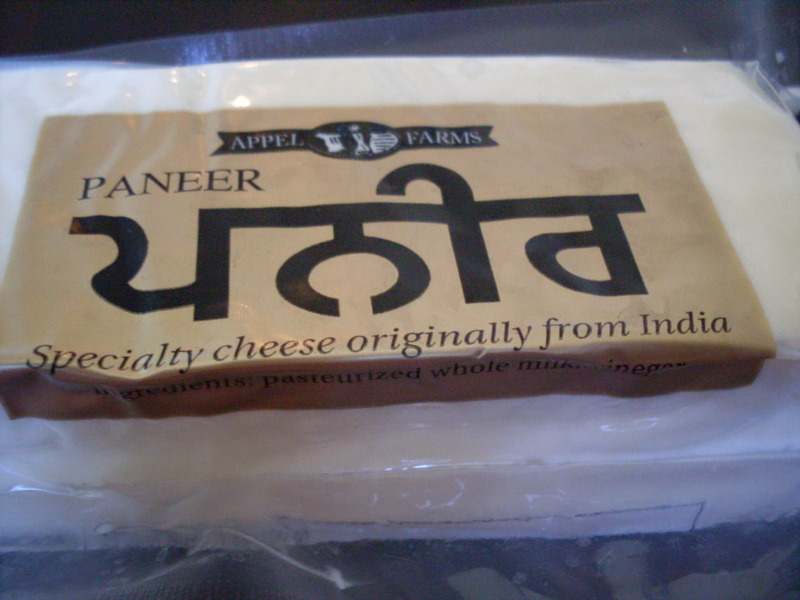 Paneer, if you’re not paneer-savvy, is a type of Indian cheese. It’s very, very good. You can make paneer at home if you can’t find it in stores. Bear with me on this one – it’s weird but fantastic. And no throwing out the greens! Heat one tablespoon of oil until shimmering. 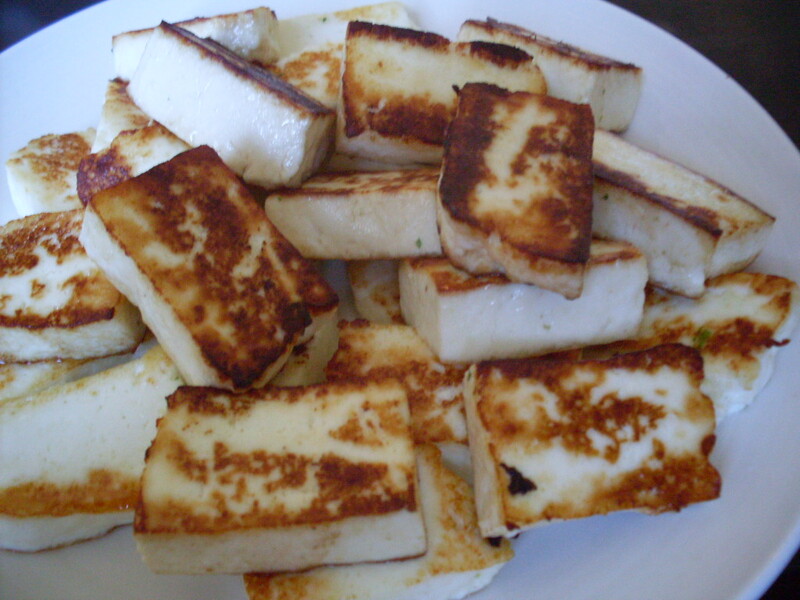 Cut paneer into bite-size cubes, and fry it in the oil until each side is golden. Yup, I said it. Fry the cheese. You see how this recipe is already a winner? Remove paneer to a plate. Add another tablespoon of oil to the pan, and heat. 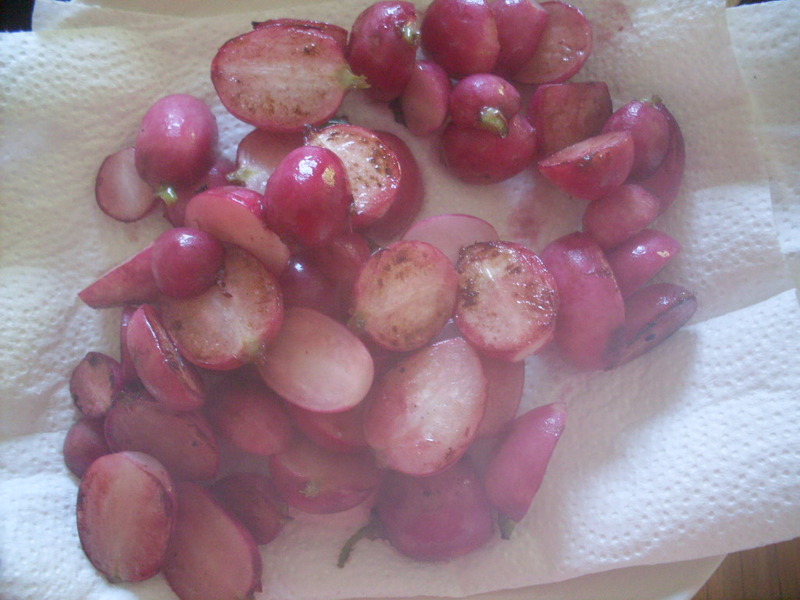 Cut radishes in half, then add to the pan, sautéeing over medium-high heat until fork-tender, about four minutes. Remove from pan, draining on paper towel. Wipe pan down before returning to medium-high heat with the remaining oil and the butter. Add onion, ginger, garlic, chili flakes, garam masala, cumin, coriander, and salt to the pan, and saute until fragrant, two to three minutes. Meanwhile, chop radish greens and scallions. 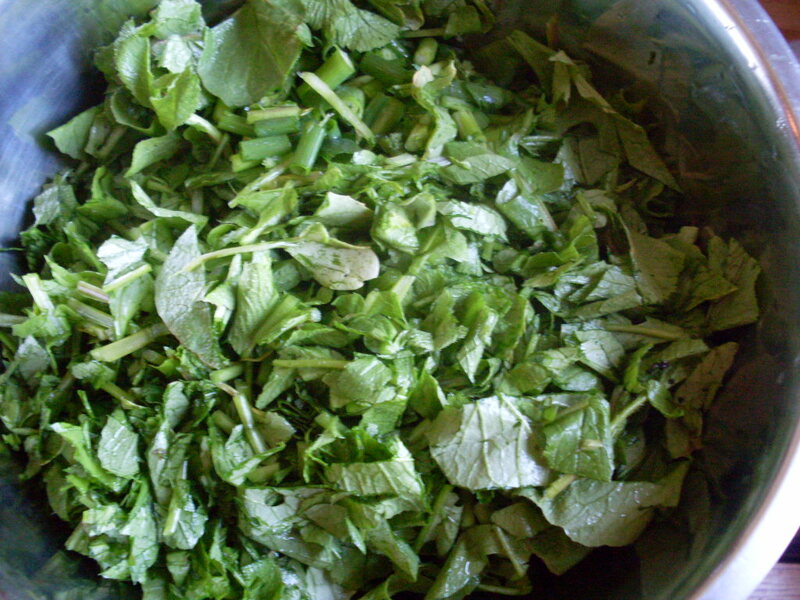 Add greens, scallions, and cilantro to the pan, and stir until wilted. Once wilted, add water and yogurt. Reduce heat to medium, and stew for ten minutes. Taste and adjust seasonings, as needed. Before serving, return radishes and paneer to the pan to reheat, about one minute. Serve hot, over rice with a dollop of yogurt. < Previous Roasting a chicken is a very good idea. Next > Roasted cauliflower soup with Manchego. Also? I picked the wrong day for soup. Sweet Raptor Jesus, summer has arrived. That looks really good actually. And you are right – frying cheese is a recipe for goodness. You know how when you make a quesadilla and some of the cheese escapes and fries in the pan? That’s my favorite part. I just bought radish seeds for my fall garden. Aren’t you growing your own right now? I think the same thing about grilled cheese sandwiches – the crispy part is the best, for sure. I am growing radishes! Apparently they grow like weeds. I am pleased with this. 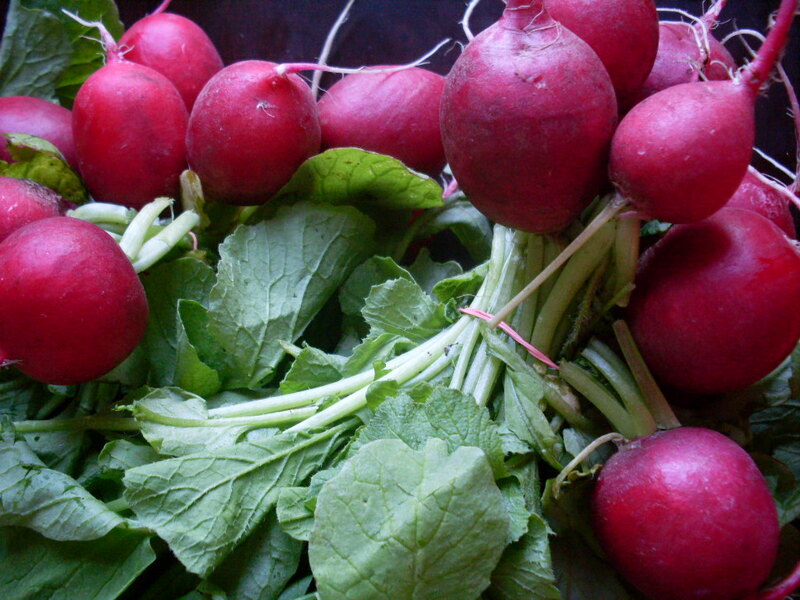 What kind of radishes are you growing? I picked the two-colour French ones, mostly because they were prettiest. Oh my gosh, heaven. 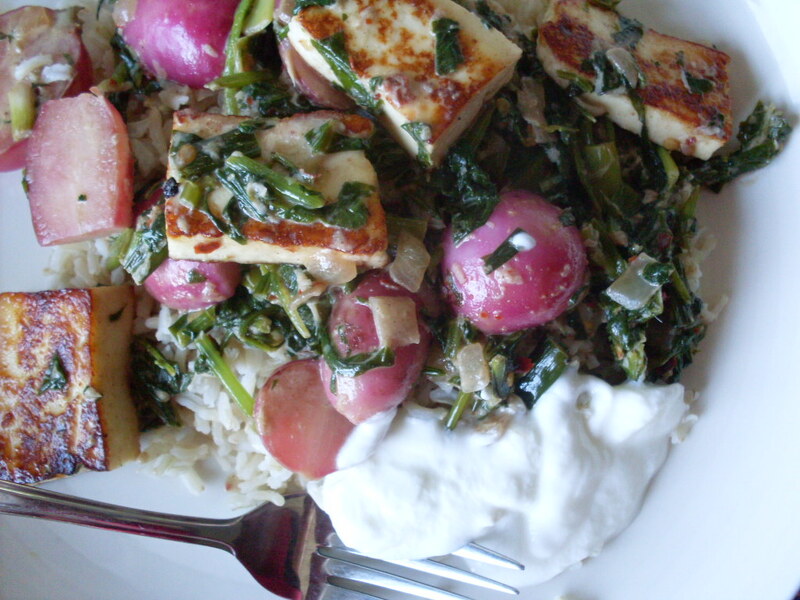 Palak paneer is my favorite dish to make for company… but radishes, radishes! Yum! Seriously, WHY AREN’T WE NEIGHBOURS?! Also, I promise to stop talking about radishes after this. Probably. I mean, most likely until my first radish harvest from the garden. oh my word this looks amazing! could you sub a different cheese? Probably, but it would have to be something that would resist melting. Paneer is fun to make — it just makes the kitchen a bit of a wreck. You can even use the whey you drain from it for baking liquid or in soups. It’s great for you. I do the same thing with ricotta – it makes such lovely bread! Everything I make leaves my kitchen a wreck. And yeah… why AREN’T we neighbors? That would be awesome!